"....Date unknown, c 1904? Third row from the front, third from the left is Charles SLACK c 30 Aug 1894. 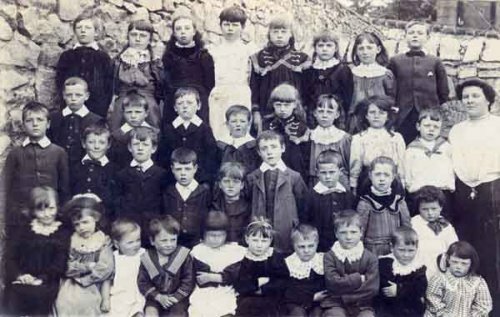 Fourth from the left is his brother Herbert (c 30 Sep 1896), brothers of William X049 (Middleton School photo 1903) and Florence X050 (ditto 1906) "